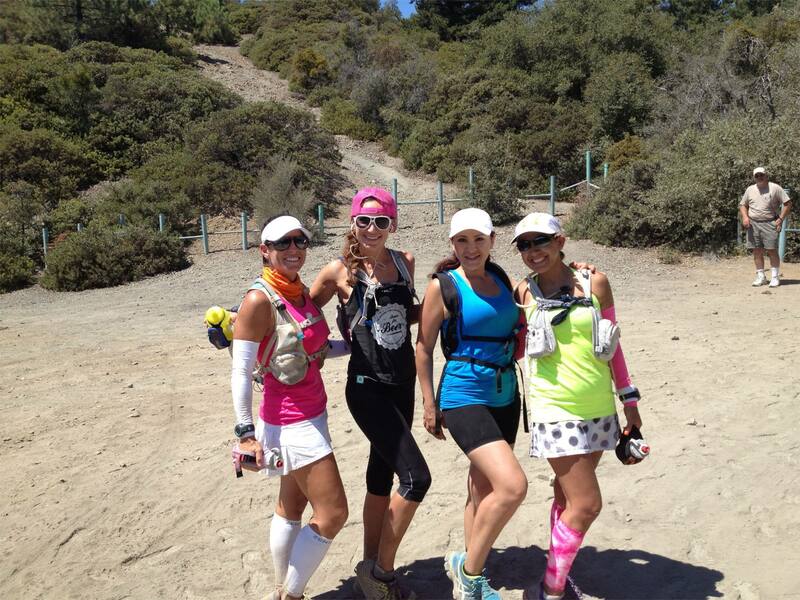 Los Pinos 50K Recap | Trace B. Getting to Los Pinos, I didn’t have many miles on my legs since the marathon, maybe 10 or so. I felt fresh, and the only concern I had was my race plan. The way this course is set up, we run our first 12-13 miles down the San Juan trail, a pretty fast and partially downhill trail out of Blue Jay Campground in Lake Elsinore before getting to the trail head that would take us up 8 miles past Los Pinos Peak, followed by a 3 mile technical and flat trail before screeching to a halt to get up Horsethief (2 miles). Once you make it up Horsethief, the trail opens up to about 5-6 miles of quick fire roads to the finish. The buzz that this race caused a frenzy amongst everyone who was involved on Facebook because it was such a challenging course. The consensus was that we should not go out too hard during the first 12 miles because we would kill our legs going up the peak and Horsethief. I listened to these suggestions but I knew myself and, having already run up the peak 3 times, felt that no matter how fast I ran the first 12, I’d still be hiking up those hills. What did it matter? I’d rather have those minutes in the bank instead of being dead after the hills without any energy to get them back. As the race started, I decided I would not take the first 12 slow, I would run them at a moderately comfortable pace, not too slow, not too fast. As I headed into Lazy W, I gulped down a gel and ditched my handheld for my hydration pack before I started up the grueling climb. Immediately I could feel that the decision to take a 2-liter pack instead of my usual 1.5 liter pack was a mistake. It was far too heavy for me. Quickly I glanced at the time and reminded myself that I wanted to be at the next aid station in 2 hours from now. As usual, the climb up towards Pinos never gets easier, you just know that it is going to hurt. For me, it has been nearly a complete hike (running when a little flat or downhill showed itself) until I get to 5 miles in where you can finally put in some consistent running – both up and down. After leaving Black Hole AS halfway up the peak, grabbing water and ice, I was able to run with Oswaldo for a bit, he had been puking and wasn’t feeling so well. As pine trees came into view, I knew I was close to Trabuco AS and just kept my eyes in that direction, almost missed Steve Peterson (RD) as he stood on the peak’s rocks yelling, “I am proud of you!” I simply gave him a thumbs up but quickly looked forward again. Hitting Trabuco, I glanced at my watch and I was WAY off pace. I ditched the heavy pack and Ashley gave me a handheld instead. The aid station crew cooled me off with ice cold water and quickly sent me on my way. Unfortunately, things were so bad for me getting up that hill. I just could not control my anger, the falls were very painful and the negativity would not leave my mind. I started feeling anxiety, it was hard to breathe, my back was tightening up and regrettably, I said out loud, “I can’t do this.” Major NO NO. I stopped several times on the trail waiting for the next racer so I could tell them to get me help. I was done for the day. Unfortunately, no one ever showed up behind me so I had to keep going. When I spotted a red shirt near the top of Horsethief, I yelled for help and a medic reached me, calming me down and I eventually got to the top. The Horsethief AS took great care of me, cooling me down and the medic made me answer a few questions before they let me head out. I ran out of the aid station but found myself walking on and off again. Two miles later I was at Trabuco again. I spent a few minutes there before jetting off and running quickly to the finish. Thank goodness I didn’t allow myself to quit because it was a great moment crossing that finish line. Looking back, I will be honest, I crave running this course but I am not sure I want to race it next year. I think I need some more emotional healing – this course is brutal in every way imaginable. These girls made this Los Pinos journey incredible and because of all the training runs, we were able to spend time together, motivating and encouraging each other. By far, this was the best experience of the event. From left to right: Andrea, me, Deysi and Naomi. This entry was posted on September 23, 2013 by tracebee. 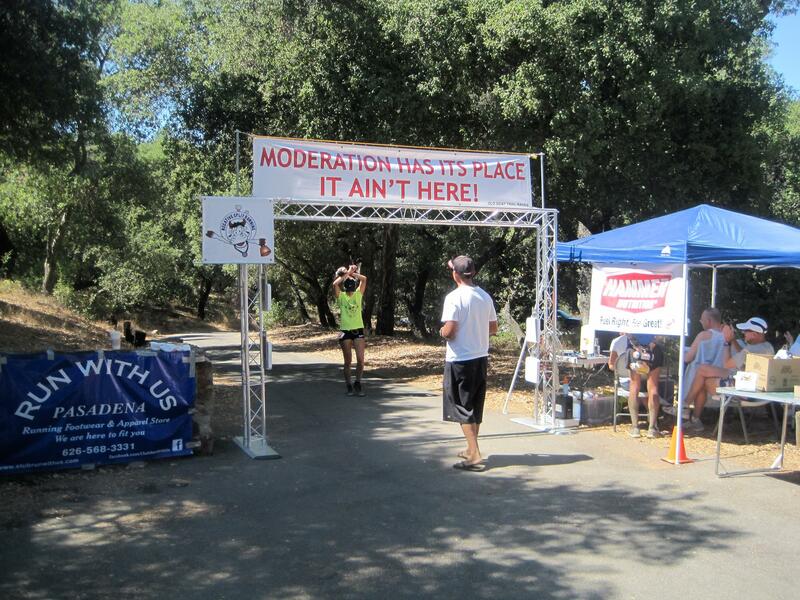 It was filed under Race Reports and was tagged with Los Pinos 50k.